So looking to get started on painting my band of scourges, and I really want to make them stand out in my army as a separate mercenary company within my kabal. To that end I want their paint scheme to be different from my kabal, but not too different to make them look wildly different. I'm thinking red armor, though I'm not sure if I want dark red or bright red, and black/purple/blueish wings but very unsure what colors to use. For context my kabalites are black armor with bone helmets and grey highlights. 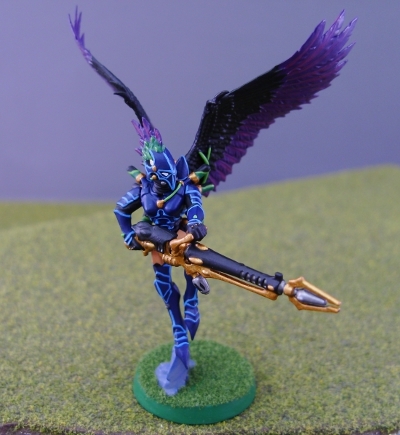 Would love to see some examples of some very nicely painted scourges as well for some inspiration. on the total flip you could base it around a bright yellow/black scheme. sort like this but a brighter yellow and black wings. 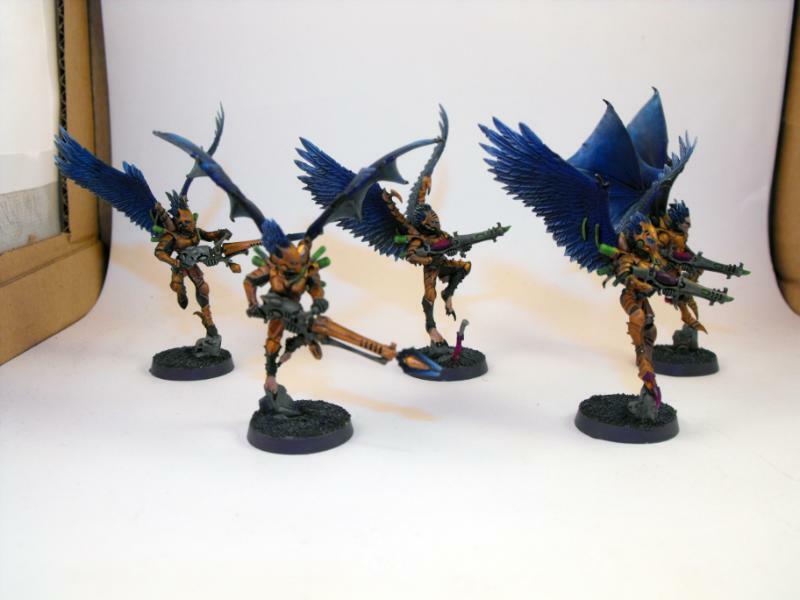 Yeah I'd probably go for the darker blue scheme as I want my scourges to stand out and be different, but not be a bright color that wouldn't fit with the rest of my units.